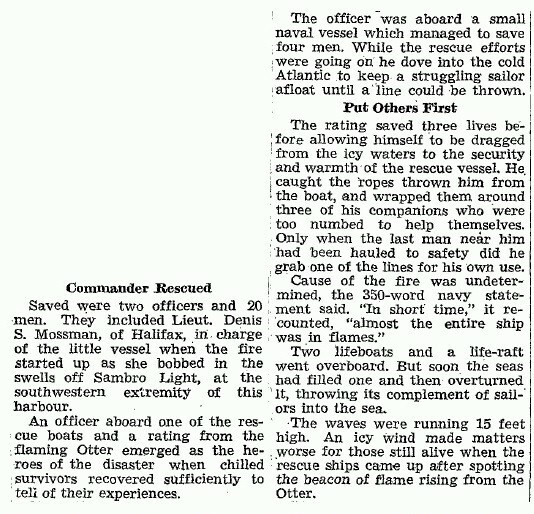 From The Ships of Canada's Naval Forces 1910-1981 by Ken Macpherson & John Burgess - Otter arriving at Halifax under the Red Ensign as Conseco. 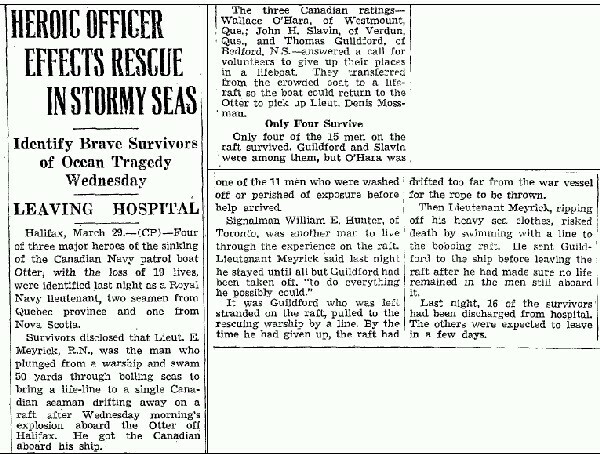 No photo of her as a naval vessel has been found. 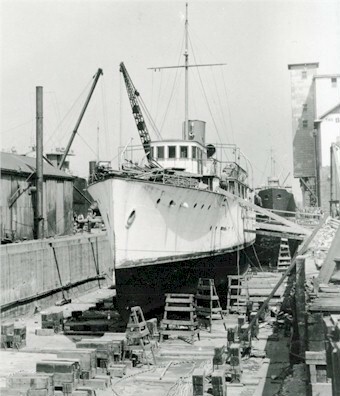 Named Conseco, she was built in 1921 by Robert Jacob, City Island, NY. 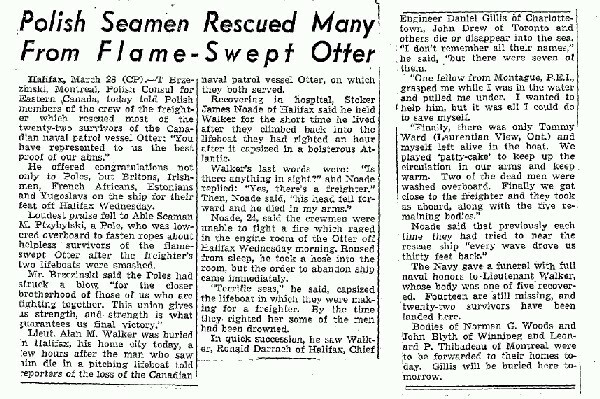 After acquired by the RCN, she was renamed Otter. 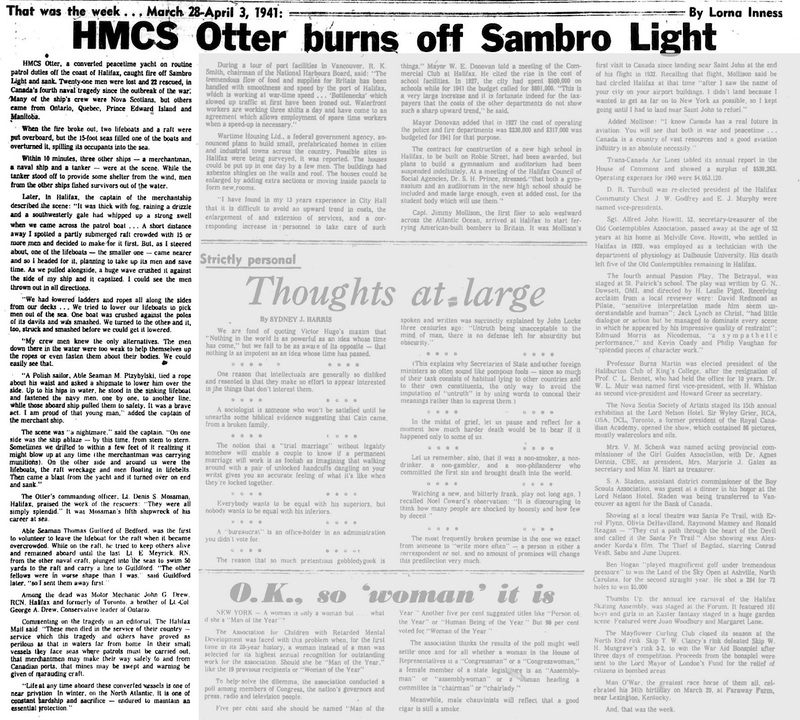 Otter accompanied Moose to Quebec City for conversion and arming, returning to Halifax on 02 Oct 1940, to be commissioned two days later for service with Halifax Local Defence Force. 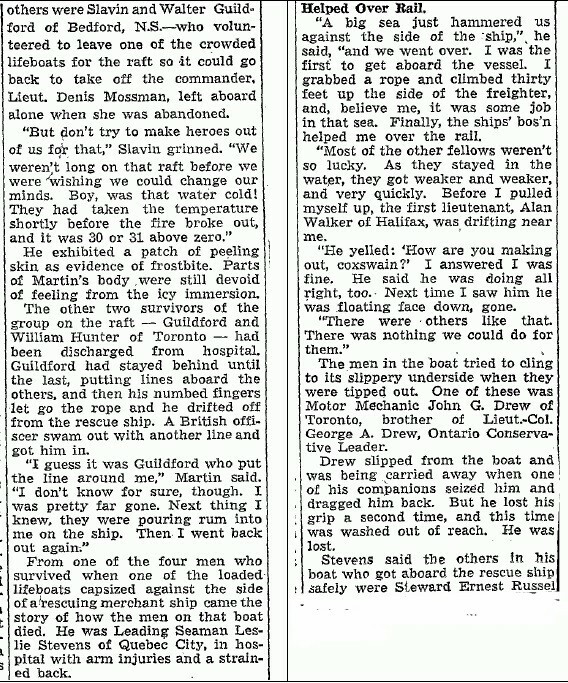 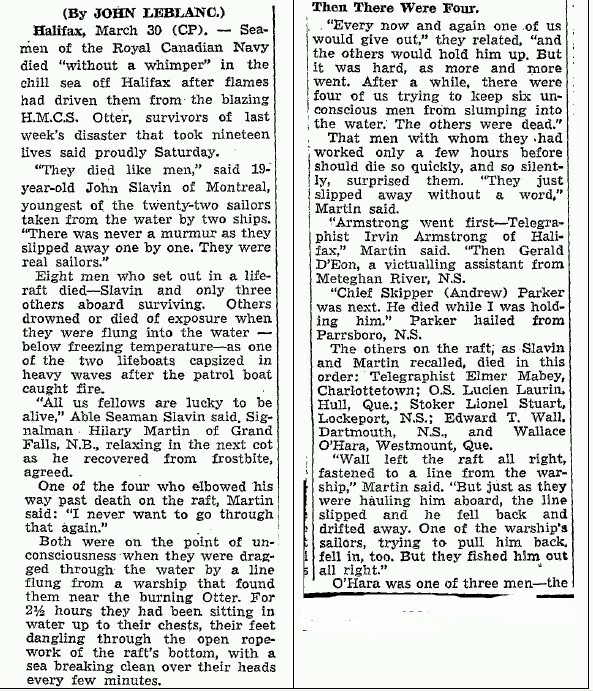 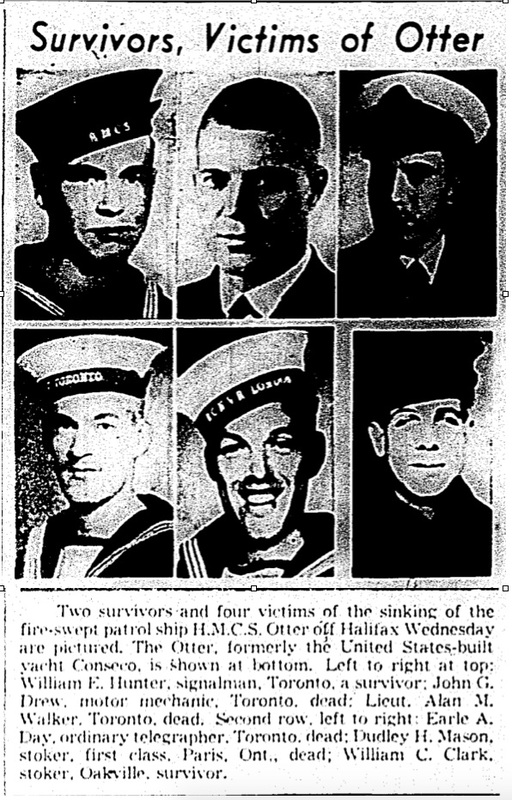 She was destroyed by accidental explosion and fire off Halifax Lightship on 26 Mar 1941, with the loss of two officers and 17 men. 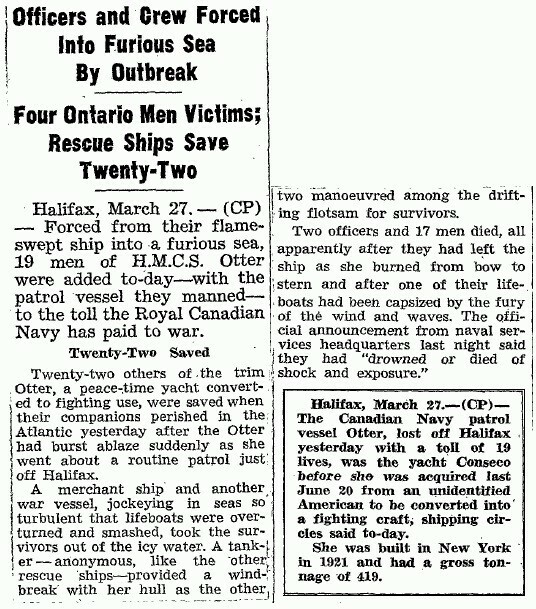 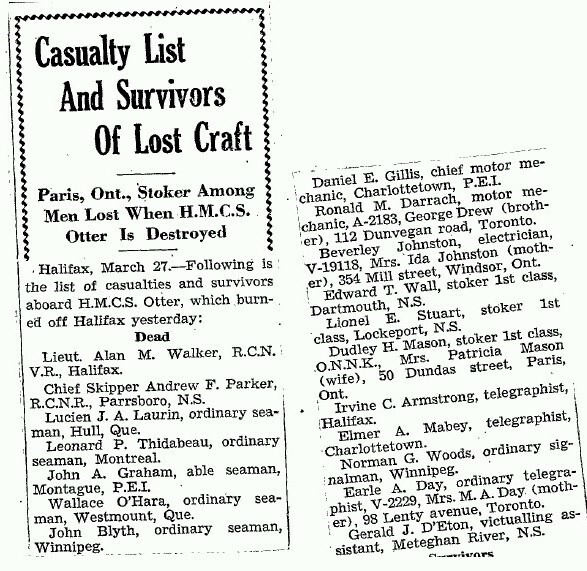 Note from the Canadian Virtual War Museum - A list of the 19 sailors who died when an accidental explosion and fire destroyed the HMCS Otter off Halifax, Nova Scotia on March 26, 1941. 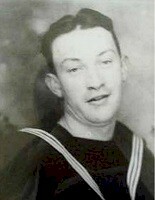 Note: The list has combined information on two of the sailors, Ronald Darrach and John Gibbs Drew. 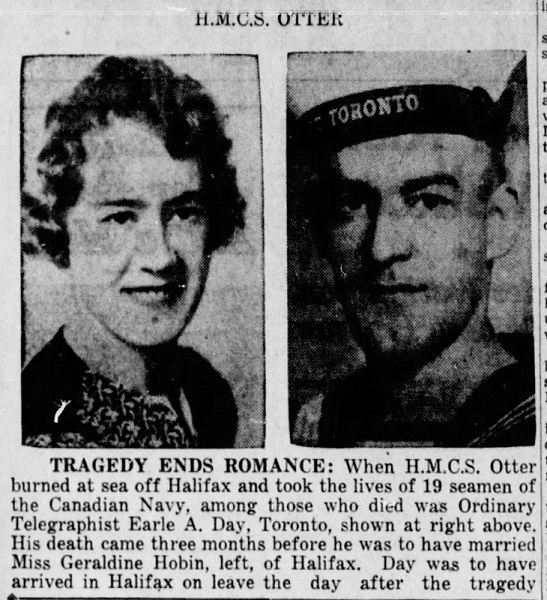 It should read Ronald M. Darrach, Motor Mechanic A/1964, son of John Thomas Darrach and Ethel Rose Darrach, of Halifax, Nova Scotia; husband of Ruby Roberta Darrach, of Halifax. 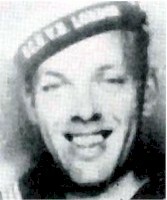 John Gibbs Drew, Motor Mechanic A/2183, (next of kin) George Drew (brother), 112 Dunvegan Road, Toronto. 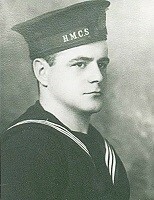 Survivors: William E. Hunter, Signalman of Toronto, ON & William C. Clark, Stoker, of Oakville, ON.